Let the sunshine in… all of it, with these high-style windows that are just the bee's knees. Yearning for the timeless glamour of yesterday? 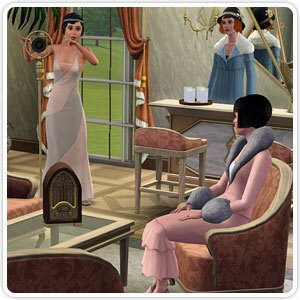 Jazz up your Sims home with the glamorous Jazz Age living room set! Timeless, glamorous, and full of style. Your Sims can party like there's no tomorrow with this combined set based on the furnishings and fashions of the 1920's. Get everything new for the month of February with just one click! 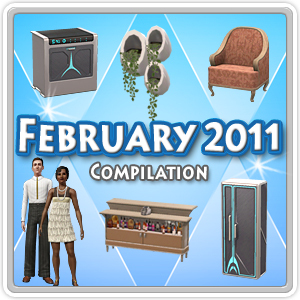 This compilation includes Futureshock Kitchen, Jazz Age Living Room, and Jazz Age outfits and hairs. 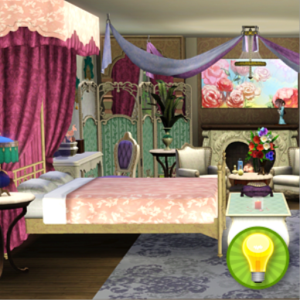 This swoonworthy room comes with a selection of classic items in a lovely array of new patterns. 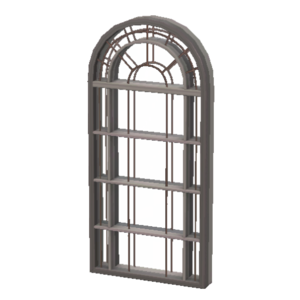 Just place them in your house and make your Sims Fall in Love Again.